being little • bristol uk fashion & lifestyle blog. 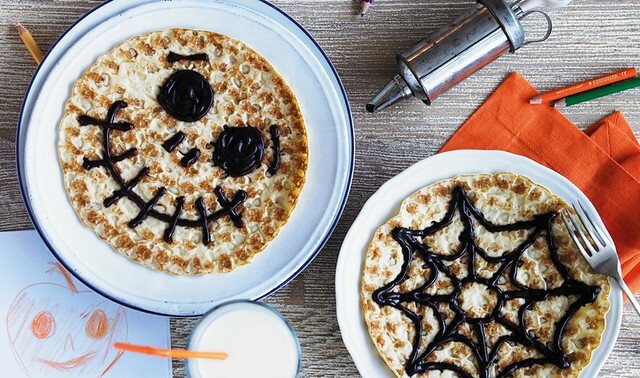 : abra-ca-debora halloween pancakes. I think you're probably all aware of how much I love Abra-ca-Debora pancakes, so when they sent me photos of these seasonal pancake recipes, I had to share some with you! 1. Put the sugar, butter and cream in a pan over a low heat. Simmer until the sugar has dissolved. Cook until the sauce is a lovely toffee colour. 2. Heat the pancakes in the microwave for 1 minute, or in the oven for 10 minutes, placing a layer of foil between each one. 3. Place pancakes on four plates. 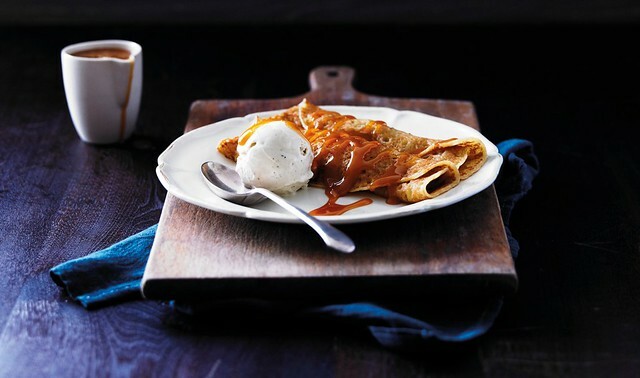 Spoon the toffee sauce over them and roll up. Dollop two generous scoops of vanilla ice cream beside each pancake. Gobble up immediately. 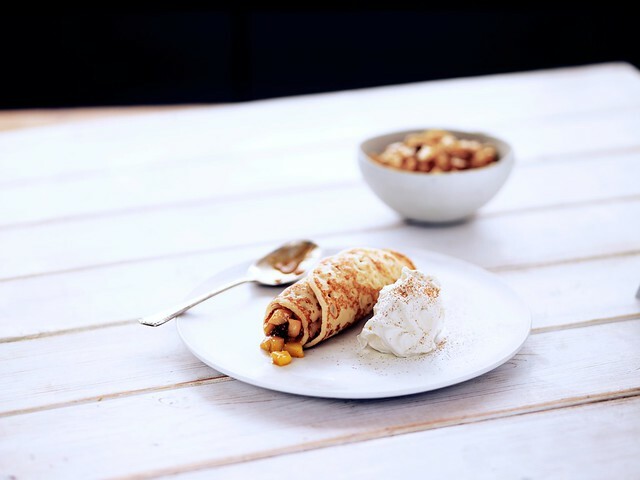 There are loads more recipes on the website, pancakes are not just for Shrove Tuesday! these are to die for! must try these one morning for breakfast!